La Petite Gourmess: Cookies, Cookies! 'Tis the Season for Cookies! 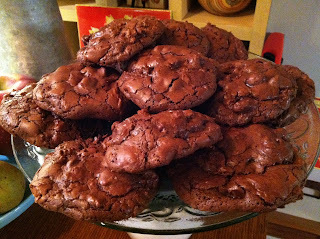 The first recipe, for Chocolate Brownie Cookies, came by way of our favorite contributor, Chris. 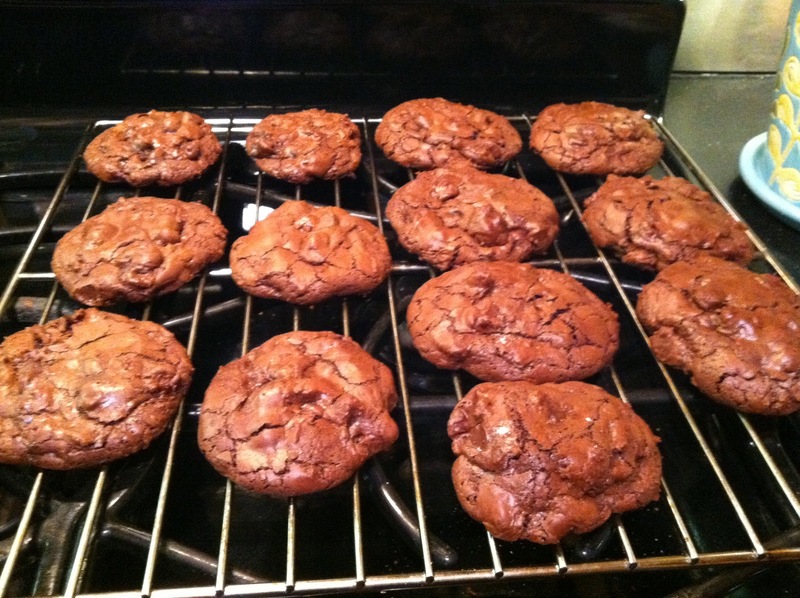 (He had me at "Chocolate Brownie Cookies.") Chris points out that Food & Wine magazine editor-in-chief, Dana Cowin swears these are the most delicious double-chocolate cookies she's ever had. And the lady is correct. We made these a few nights ago for a dinner party using this Food & Wine recipe and there wasn't a crumb left at the end of the night. It's basically chocolate and more chocolate. And, there are only three steps. You must make some. Now. The second recipe is for Apple Pie Cookies. (Your eyes just lit up, didn't they?) I made these up while waiting for Hurricane Sandy to come through our area. (I didn't have enough apples for a whole pie, but I wanted comfort food.) And, if you're going to maybe lose power and be homebound for a week, you should at least have something delicious to nosh on. Am I right? 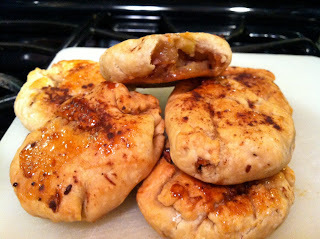 Mix together the apples, maple syrup, pecans, cheddar, brown sugar and cinnamon. Adjust sugar/spices to taste if necessary. Place a heaping spoonful or two of the mixture in center of small pie dough rounds (about 4" round) and fold/pinch closed and gently form into cookie shape. 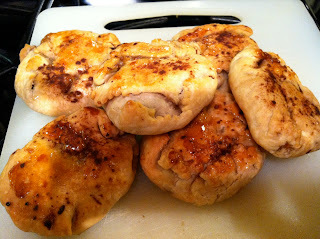 Bake on greased sheet pan for 20-25 mins until lightly browned, turning over once, then drizzle with honey and cinnamon and bake 5 mins more. Let cool. Both cookies are super delicious and pretty simple to make. And both would be great additions to your holiday cookie tray this year. But, you might want to double up the recipes because they will disappear quickly. 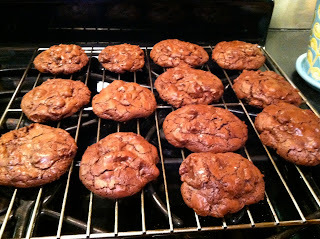 Speaking of cookies, I'm looking for new recipes -- let me know what your family's tried and true cookie recipe is and I might feature it in a future post!